90+6' Second Half ends, Kosovo 2, Denmark 2. 90+6' Pierre-Emile Højbjerg (Denmark) wins a free kick in the defensive half. 90+6' Foul by Fidan Aliti (Kosovo). 90+6' Peter Ankersen (Denmark) is shown the yellow card for a bad foul. 90+6' Corner, Kosovo. Conceded by Pierre-Emile Højbjerg. 90+6' Attempt blocked. Edon Zhegrova (Kosovo) left footed shot from outside the box is blocked. Assisted by Mergim Vojvoda. 90+5' Kasper Dolberg (Denmark) wins a free kick in the defensive half. 90+5' Foul by Herolind Shala (Kosovo). 90+4' Jens Stryger Larsen (Denmark) is shown the yellow card. 90+4' Atdhe Nuhiu (Kosovo) is shown the yellow card for a bad foul. 90+3' Simon Kjaer (Denmark) wins a free kick in the defensive half. 90+3' Foul by Atdhe Nuhiu (Kosovo). 90+1' Goal! Kosovo 2, Denmark 2. Pierre-Emile Højbjerg (Denmark) right footed shot from the left side of the box to the bottom right corner. Assisted by Simon Kjaer. 89' Delay in match (Denmark). 89' Foul by Thomas Delaney (Denmark). 89' Herolind Shala (Kosovo) wins a free kick in the defensive half. 88' Foul by Simon Kjaer (Denmark). 88' Samir Ujkani (Kosovo) wins a free kick in the defensive half. 82' Foul by Zanka (Denmark). 82' Edon Zhegrova (Kosovo) wins a free kick in the defensive half. 81' Zanka (Denmark) wins a free kick in the defensive half. 81' Foul by Edon Zhegrova (Kosovo). 81' Substitution, Kosovo. Atdhe Nuhiu replaces Vedat Muriqi. 81' Substitution, Kosovo. Lirim Kastrati replaces Besar Halimi. 80' Attempt missed. Kasper Dolberg (Denmark) header from the centre of the box misses to the right. Assisted by Zanka with a headed pass following a corner. 79' Corner, Denmark. Conceded by Herolind Shala. 79' Attempt blocked. Thomas Delaney (Denmark) left footed shot from outside the box is blocked. Assisted by Christian Eriksen. 78' Attempt blocked. Peter Ankersen (Denmark) left footed shot from the left side of the box is blocked. 78' Christian Gytkjær (Denmark) wins a free kick in the defensive half. 78' Foul by Fidan Aliti (Kosovo). 77' Substitution, Denmark. Christian Gytkjær replaces Jacob Bruun Larsen. 75' Thomas Delaney (Denmark) wins a free kick in the attacking half. 75' Foul by Herolind Shala (Kosovo). 73' Jens Stryger Larsen (Denmark) wins a free kick in the defensive half. 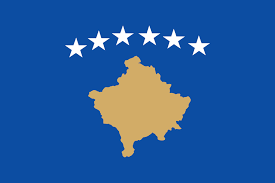 73' Foul by Bernard Berisha (Kosovo). 72' Attempt missed. Jens Stryger Larsen (Denmark) right footed shot from outside the box is too high. Assisted by Jacob Bruun Larsen following a set piece situation. 71' Martin Braithwaite (Denmark) wins a free kick on the right wing. 71' Foul by Leart Paqarada (Kosovo). 71' Substitution, Kosovo. Idriz Voca replaces Bersant Celina. 70' Substitution, Kosovo. Bernard Berisha replaces Arbër Zeneli. 69' Attempt blocked. Martin Braithwaite (Denmark) left footed shot from the right side of the box is blocked. 67' Foul by Jacob Bruun Larsen (Denmark). 67' Herolind Shala (Kosovo) wins a free kick on the right wing. 66' Goal! Kosovo 2, Denmark 1. Bersant Celina (Kosovo) right footed shot from the centre of the box to the bottom left corner. Assisted by Arbër Zeneli. 65' Attempt blocked. Arbër Zeneli (Kosovo) right footed shot from the centre of the box is blocked. Assisted by Bersant Celina. 65' Attempt missed. Vedat Muriqi (Kosovo) header from the centre of the box is close, but misses to the right. Assisted by Arbër Zeneli with a cross following a corner. 64' Corner, Kosovo. Conceded by Jens Stryger Larsen. 63' Goal! Kosovo 1, Denmark 1. Christian Eriksen (Denmark) converts the penalty with a right footed shot to the bottom left corner. 62' Penalty Denmark. Martin Braithwaite draws a foul in the penalty area. 62' Penalty conceded by Herolind Shala (Kosovo) after a foul in the penalty area. 60' Substitution, Denmark. Kasper Dolberg replaces Nicolai Jørgensen. 60' Substitution, Denmark. Christian Eriksen replaces Lukas Lerager. 60' Substitution, Denmark. Simon Kjaer replaces Andreas Christensen. 59' Attempt missed. Thomas Delaney (Denmark) left footed shot from more than 35 yards is high and wide to the right. Assisted by Pierre-Emile Højbjerg. 59' Foul by Andreas Christensen (Denmark). 59' Vedat Muriqi (Kosovo) wins a free kick in the defensive half. 58' Hand ball by Vedat Muriqi (Kosovo). 56' Attempt missed. Arbër Zeneli (Kosovo) left footed shot from the left side of the box misses to the right. Assisted by Bersant Celina. 54' Attempt blocked. Arbër Zeneli (Kosovo) right footed shot from the left side of the box is blocked. Assisted by Bersant Celina. 53' Pierre-Emile Højbjerg (Denmark) wins a free kick on the right wing. 53' Foul by Herolind Shala (Kosovo). 51' Corner, Kosovo. Conceded by Zanka. 48' Lukas Lerager (Denmark) wins a free kick on the right wing. 48' Foul by Fidan Aliti (Kosovo). 46' Foul by Lukas Lerager (Denmark). 46' Herolind Shala (Kosovo) wins a free kick in the attacking half. 46' Hand ball by Vedat Muriqi (Kosovo). 45' Substitution, Denmark. Jens Stryger Larsen replaces Henrik Dalsgaard. 45' Substitution, Kosovo. Samir Ujkani replaces Arijanet Muric. 45' Substitution, Kosovo. Edon Zhegrova replaces Milot Rashica. 45+2' First Half ends, Kosovo 1, Denmark 0. 45+1' Corner, Kosovo. Conceded by Zanka. 43' Thomas Delaney (Denmark) wins a free kick in the defensive half. 43' Foul by Besar Halimi (Kosovo). 42' Goal! Kosovo 1, Denmark 0. Amir Rrahmani (Kosovo) header from the centre of the box to the bottom right corner. Assisted by Besar Halimi with a cross following a set piece situation. 41' Foul by Zanka (Denmark). 41' Vedat Muriqi (Kosovo) wins a free kick on the right wing. 40' Attempt saved. Nicolai Jørgensen (Denmark) right footed shot from the centre of the box is saved in the centre of the goal. Assisted by Martin Braithwaite. 39' Attempt saved. Herolind Shala (Kosovo) left footed shot from outside the box is saved in the centre of the goal. Assisted by Amir Rrahmani. 38' Jacob Bruun Larsen (Denmark) wins a free kick in the attacking half. 38' Foul by Arbër Zeneli (Kosovo). 37' Foul by Martin Braithwaite (Denmark). 37' Amir Rrahmani (Kosovo) wins a free kick in the defensive half. 34' Attempt blocked. Peter Ankersen (Denmark) right footed shot from outside the box is blocked. 34' Foul by Martin Braithwaite (Denmark). 34' Herolind Shala (Kosovo) wins a free kick in the defensive half. 33' Pierre-Emile Højbjerg (Denmark) wins a free kick in the attacking half. 33' Foul by Herolind Shala (Kosovo). 32' Attempt missed. Milot Rashica (Kosovo) right footed shot from outside the box misses to the left. Assisted by Vedat Muriqi. 29' Attempt missed. Vedat Muriqi (Kosovo) left footed shot from the centre of the box is close, but misses to the left. 27' Attempt blocked. Leart Paqarada (Kosovo) left footed shot from outside the box is blocked. Assisted by Vedat Muriqi. 21' Delay in match Amir Rrahmani (Kosovo) because of an injury. 20' Foul by Thomas Delaney (Denmark). 20' Amir Rrahmani (Kosovo) wins a free kick in the defensive half. 19' Corner, Denmark. Conceded by Amir Rrahmani. 16' Foul by Martin Braithwaite (Denmark). 16' Herolind Shala (Kosovo) wins a free kick in the defensive half. 11' Foul by Thomas Delaney (Denmark). 11' Herolind Shala (Kosovo) wins a free kick in the defensive half. 10' Martin Braithwaite (Denmark) wins a free kick in the defensive half. 10' Foul by Besar Halimi (Kosovo). 7' Attempt saved. Arbër Zeneli (Kosovo) right footed shot from the left side of the box is saved in the centre of the goal. Assisted by Bersant Celina. 5' Attempt blocked. Lukas Lerager (Denmark) right footed shot from outside the box is blocked. Assisted by Jacob Bruun Larsen with a headed pass. 4' Corner, Denmark. Conceded by Mergim Vojvoda. 2' Corner, Kosovo. Conceded by Henrik Dalsgaard.